April | 2013 | JohnBrownJohnBrown! It’s difficult to come back to your former home, questionably successful in your venture, your quest. It’s hard to face some stone cold realities: financial, familial, emotional…It’s hard to shift gears again. It’s hard to rejigger your dreams. It’s hard to tell friends you’re leaving or that, “hey, I’m back.” And it’s hard to look back and see the influences and the Sirens you thought were your friends, so true, honest, real and sincere. Make no mistake, the choices I made were mine and mine alone. I have no regrets. What’s interesting, is that there were friends to encourage me along. Friends who had reached the same place in their respective careers. Friends that I loved and still do. Friends who were smart, talented, motivated and love P-town as much or more than I. Friends that weren’t necessarily going my way, but were jumping the proverbial ship just the same. And then one fine Spring, we all kind of lept together. And, as in most sea tales, there were Sirens in my story. Those that called from afar, “come up and join us!” “All is well!” “It’s magical, look how well we’ve done.” Those that listened to your dreams and encouraged them, albeit with no real backing or care. They called from the cold comfort of the rocky shore while I sailed a rough sea. I heard the Sirens, measured their input against my misery, watched friends take the leap, looked at my immediate situation, checked the bank account and then did it myself. Oh, the Sirens and their call. I can only speak for myself and my journey. I can only say what I’ve seen, what I’ve done and what I’ve experienced. 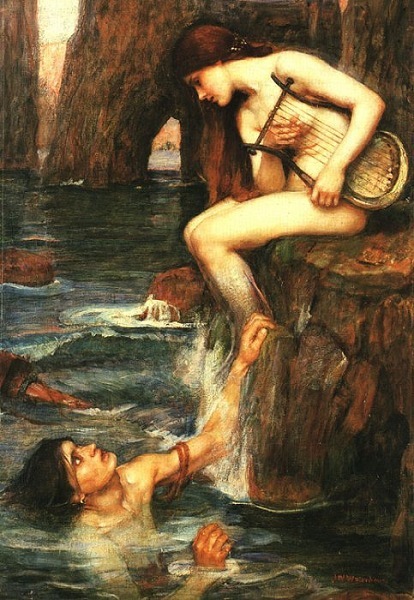 And this tale of sirens is not all bad. No, there were loving arms to welcome me ashore, loving arms to feed and nourish me, to introduce me and socialize me. To recap a day, a certain success and a joy over a drink or two. To comisserate and comfort and celebrate and advise. To wave from the porch each quiet morning on the way to work. But something happened. Something transpired to which I was not a party. I was grouped – by association and gender and history – with other conflicts. Cut off in a non-spoken way from two friendships. Well, from one friendship with two people, in hindsight. It hurt. It still does. But I can only be mature about it. I can’t behave the way the Sirens do. It’s sad. More than anything, though, it amuses me in darkest way possible. Their childishness and the short-sightedness are comical. The pain and thinly-veiled deceptions are not. Dishonesty certainly is not funny. Deliberate derailing of dreams cannot be short-sighted. Those of us that crashed on the rocks will pull ourselves up and rebuild. We’ll be stronger, we’ll go on. It’s what we do. But, as I’ve said countless times, Karma on the Cape is swift and sure. Watch your heads, Sirens.